What if, 30 days from now, you had a finished, well-crafted eBook sitting on your hard drive, ready to distribute and sell? That might sound next-to-impossible to you, but it’s not. Every November, over 200,000 people worldwide take part in NaNoWriMo — “(inter)National Novel Writing Month”. NaNoWriMo participants aim to write 50,000 words during the month, and tens of thousands of them manage to do it. If those writers can do that, you can write a 20,000 word ebook in a month. Right? And I am absolutely not talking about some scrappy, thrown-together document. You’ll have more than enough time to properly plan, organize, and edit your eBook as well. Your outline is your roadmap. It lays out the territory ahead, and lets you spot any tricky patches before you’re half-way through the first draft. #2: Work backwards. Start at the end: what do you want your reader to be able to accomplish once they’ve finished your ebook? Then take a step back — what will they need to know before they can do that? And what about before that? #3: Write a list. If you’re already extremely familiar with your topic, you’ve probably got an outline in your head. Start writing a list: what chapters or major sections will your ebook need? Once you’ve got the big pieces in place, write a list of 3–5 key points for each chapter/section. #4: Examine other eBooks and books. Look through several chapter lists to see what topics appear in almost every book. Is there anything that you’re missing from your outline? At this stage, it’s worth considering whether each chapter (or each section) could have a consistent structure. This will make the writing process much easier and faster: you’ll have fewer decisions to make. This is where the bulk of your time will be spent: 20 of your 30 days. If you’re aiming for a 20,000 word ebook (around 80-100 pages, assuming you’re including a few images) then that breaks down to writing 1,000 words a day. Yep, that’s a sizeable commitment –- but, the trade-off is, you’re going to get your ebook done within a month, instead of having it drag on for a year or more. Aim to write every day for these 20 days — even if you only manage a couple of hundred words on some days. The more you make writing a habit, the easier it becomes. Ideally, you’d put your eBook aside for a while before revising it — but you’ve only got a few days left. So, to see your eBook with fresh eyes, print it out — or transfer it onto your e-reader. At this stage, don’t agonize over every word. Obviously, fix any glaring typos or mistakes that you spot, but avoid getting too bogged down. This might mean cutting out unnecessary tangents, juggling sections or paragraphs around, and adding in any hyperlinks and quotes that you didn’t have time to look up earlier. At this point, your ebook might look finished. These two final days can turn your eBook into a professionally finished piece. Print out the ebook again, or view it as a PDF. Read through slowly, checking every sentence and word. Hurrah! You’re the proud author of a finished eBook! Which means it’s time to get out your calendar and write “EBOOK” onto every page of every day for the next month. Yes, writing an ebook takes time, effort and energy. Yes, the next month looks incredibly busy already: but every month looks incredibly busy, right? If you write a small, free eBook, you’ll have a great piece of promotional content. Or, if you write an eBook to sell, you’ll be able to make money for months, even years, from just one month of work. Right now is the best time to write. One of the quickest and simplest ways to give yourself a motivational boost is to make a public commitment to your goal — so, write a comment below and tell us to look out for your finished ebook next month! Believe it or not, I actually wrote my first eBook with in a week. It’s not a large eBook because it’s only 50 Twitter Tips but you’d be surprised at how many people have purchase my book. I’m selling it for cheap on my website so people can advance themselves with Twitter with real tips and not some fake tips you find on the internet. A week is impressive — congrats! 🙂 I think clear, specific tips are always going to be popular. Thanks Ali Luke! I have at least 3 books brewing in my brain and was never able to get past a simple outline. 30 days huh? mmm…. I’d call that more of a guide than a book, I think that the term “e-Book” gets thrown out too easily these days, but the advice still stands. Nice job getting that done, but is it really worth it to sell something via PayPal for only $1 (due to fees, sales holdings, etc.)? When internet marketers started offering ebooks, some were as short as 10 pages. I think that was because most people didn’t know what to expect. There is still some advice that they can be 20-30 pages and I disagree with that. That is a report or a booklet maybe. At the 80 to 100 page length though, I think you’re getting into an area where you can say it’s a book. Some non-fic print books are very short, children’s paperbacks and some other kinds of pocket paperbacks are in that range as well. Also, unless it’s fiction where the expectation is still a couple hundred pages or more, I think for non-fiction, books need to be long enough to convey the information/provide value, while not being overwhelming at the same time. It’s a delicate balance for sure. I agree with you on the shortness of some ebooks for sale out there. However, a $7 ebook that is full of useful facts or “how tos” that really work and are only 15-25 pages are fine. I’d rather buy a 15 page ebook that gives me something of real value than an 80 page one that’s full of waffle and could’ve been half, or even a third of, the length. I think the days of ebooks on sale for inflated prices, full of “borrowed” content, or let’s face it, complete rubbish, are disappearing thanks to some really professionally written, quality ebooks that really help and advise. eBooks have opened up avenues for people with something to say to share it with others as never before. I’ve bought a few print books from “good bookshops” that turned out to be duds. The motto: “You can never buy enough books” stands true for ebooks too. Some printed books are also extremely short (I’m thinking of “gift” type mini-books). I’m fine with short ebooks, so long as the sales page makes it clear that they are short. I’ve seen lots of other terms used (ebooklet, mini-ebook, mini-guide) — but the truth is that there is no agreed standard for how long an ebook “should” be! As Tom points out, a short, focused ebook can be much more attractive than one that’s been padded to meet a page-count. That’s awesome! I’d be curious to know how many of those Twitter Tip ebooks you sold for $1. I go the opposite approach… my Facebook eBook is $50, but it’s more than 60 pages of content, and it took me about two months to write. But I wonder if spending a week on an eBook for a lower price, which sold more, is a better investment of time. I really like the outline. However, do you think this outline will work for an E-Cookbook? Writing an ebook is going to take a long time. But breaking down into number of words and dividing them with the number of days, it seems to be do-able now. It is really incredible how this can possibly done. I’m giving it ago like one week ago before this post is published. One thing I learned is to stop editing while writing which I found that most people think the same after reading this post. Reading your comment made me realize that this is equally applicable to video projects as well. Very interesting post. I think a 30 day e-book is possible, if we follow the guidelines and are truly motivated. I would try this. It is always nice to try and see how well we can do something we have never tried before. It’s absolutely possible, though I’ll admit it’s a bit of a challenge (unless you’re very used to writing a lot of content). Good luck if you do give it a go, Marianne! This outline is extremely detailed and informative. Thanks! That’s cool. I’ve always wanted to do NaNoWriMo, but I never thought of doing it for an ebook.. That’s a clever take on things. I’m too busy with managing my own blog that I probably don’t have time to weave a work of fiction, but maybe I can string together an ebook. Maybe we can call it NaEBoWroMo. It’s tough to balance writing something longer (whether that’s an ebook or a novel) with writing a blog — but it’s also extremely rewarding, and an ebook can bring some valuable extra attention to your blog. Also, I created a Facebook Group if anyone is interested in joining. Just to keep each other accountable, motivate, publish how many words you’ve written that day, and share your final product at the end. Thanks for this great post, and I too will be joining. P.S. Bought your Dummies book on writing an ebook. Thanks for writing that. Sonia came up with the new name “EbookWriMo” … but I think NaeBoWriMo has a great ring to it too. 🙂 Big thanks for buying my Dummies book! While it’s not specifically stated in the article, it seems as though you support the use of free writing. Do you recommend the book “Accidental Genius” as a source for information on how to do this more effectively? I’ve got no strong feelings about free writing (also known as “morning pages” or “private writing”) — it works for lots of people, though it’s not really designed to produce something for public consumption (like an ebook). Ali: Great write-up. I love your process. For me, that $3 timer has been one of the best investments I’ve made. I definitely use it to help me stay focused when I need to be. Where I get stuck in this process is in drafting my outlines. A simple bullet list will do, but every now and then, I get stuck. Cheers, Ricardo! I find timers incredibly useful when my focus is slipping. Simplicity is a wonderful thing! It’s been a struggle to figure out how to go about what seems to be such a daunting endeavor, but this article does a fantastic job at putting things in proper perspective. What better time to write a book about building websites than when I’m in the process of creating one for myself? The site planning process becomes the outline for a book! Thanks for the great article! Thanks Bob! And that sounds like the perfect time — whenever I’m doing a “step by step” bit of an ebook or ecourse, I find I have to go back over the whole process to make sure I don’t leave anything out. Many thanks indeed for this priceless info. I’ve had so many ideas about my specialist area in the past 2 years the blogs aren’t enough and I’ve felt fit to burst! Now I know I have an outlet! I’m so excited I won’t sleep tonight so might as well stay up and write! And just to get a few of life’s experiences down I just started on my first semi-auto-biographical novel and it’s like magic…Many thanks indeed Ali. 😀 Yay, and thanks Jonny! I’m really thrilled that this post struck a chord with you. And I hope the novel goes brilliantly too — I think fiction (or semi-fiction!) is not only valuable in itself, it’s also a great way to stretch your skills as a writer. The biggest obstacle for me has been determining my topic (really refining it down to something meaningful and specific) and just getting started. Biting that bullet and making it happen. 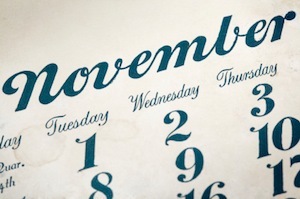 Bookmarking this page – and one week today, the month-long countdown begins! Hurrah! 😀 Best of luck, Ruth — hope the month goes brilliantly for you! Coincidentally, I have 35 days (including today) to write my first ebook, a ghost-written ebook for a client. Lucky for me, I got to skip the outline and idea processes. But I will definitely be referring to this post over the coming month and in the future, when I secure some time to work on producing a few self-written ebooks. on day 31, have Shane Arthur edit your ebook. <— blatant plug for Shane! When I’m ready with my Editing Hacks book, I plan on purchasing Ali’s Irresistible EBook for the template she offers. I haven’t seen anybody else offering that, and I’m guessing that should be the first thing people should begin with when writing an ebook. Haha! I think having someone else edit your ebook is a great idea (either paying someone, or at least asking a few friends to read it through). If you’re trying to finish within a month, there’s not much time to run it past someone else — but if you’ve got an extra couple of weeks, it’s a great idea. I think an ebook can definitely be drafted in 30 days, but I would take another 30 afterwards to really step away from it for a while and get some perspective before editing/rewriting. And I agree about skipping stuff you can look up later so you can forge ahead with the writing, but I don’t think the opening should be left in the air. I would spend 60-70% of my time and energy nailing that opening. It’s critical to everything that follows, in tone and structure and viewpoint. Finally, another good way to open is to introduce the challenge or problem the reader faces that this chapter will tackle. “Most people find …” or “We’ve all faced the problem where …” If possible, point to a study, trend, statistic or, as you suggest, a quote to support it. Then show how to solve it. This is great! It always helps to have specific steps on the way to a goal. Writing in chunks is nothing new to me, as that is how I deal with writing lessons and teacher helps for my Vacation Bible School programs: study, study, study, and then I sit down and write, write, write–huge amounts at a time. I have been contemplating writing an ebook related to children’s ministry–most likely, specifically Vacation Bible School, as that is my focus. This is great timing for me. I think I will wrap up the children’s book I am finishing this week and plan to start this project next week. Even with taking a weekly Sabbath, and allowing for a break on Thanksgiving, I should have a quality ebook ready to go before December 1st! The only thing left to decide will be whether it should be a free offering/incentive or for sale. Any thoughts on how to make that decision? Tricky one on free vs paid, Sheila — and I think that it’s a decision only you can make! Do you see it as part of your business, or part of your ministry? Charging a few dollars could help people to value it and actually use it — on the other hand, providing it for free would be a good incentive for folks to share it, come to your website, etc. I do already have a whole lot of free material on my blog, and I plan on much more to come; but the ebook will be a helpful tool for sharing information with those who really want to go deeper. I’ve been wanting to write an Ebook, but I admit I’ve been overwhelmed by the idea of writing one on my own. And like Ruth, I am having a hard time pin-pointing a topic. But I really like how your post has broken it down and made it manageable to do. Like eating an elephant! Thank you!! Thanks Jodie! My biggest tip for choosing a topic is to ask your readers what they’d find most useful — that way, you know that you’re producing something valuable. You make some really great points here. Particularly the 30 minute time limit. I was surprised how much more effective i became with my writing when I was “under the gun” with a ticking clock. It really does work. I do not have a problem in writing an ebook in 30 days. But I do have a problem marketing me ebooks. Thanks for the information. This is very helpful as I will be writing an e-book in the near future. I love, love, LOVE this! In fact, I’m forwarding it to all my writer’s coaching clients. Half the battle writers face is visualizing HOW to get a book from head to paper, and your step-by-step plan is great. Thanks for breaking down the process. You really simplified creating an Ebook on a step by step level. I’m sure it will be very useful for anyone looking to create an Ebook in the near future. I’m planning on attempting NaNoWriMo for the first time this year. I was trying to figure out the best way to tackle everything and your outline makes perfect sense!! Thanks a million for it! I am somewhat prepping for it now as I want a bit of historical flare to it and need to make sure my facts are straight but it 30 days still isn’t too bad to write and still research at the same time! I think I will give myself a challenge to write a 20,000+ word ebook from start to finish including graphics (cover+banners) in the month of November, in fact I’m putting this in my calendar right now, and will make a post on my personal blog about the challenge and link your post Ali, thanks for sharing, this might be the kick in the … I really needed! Woot! 🙂 Go Jamie! And you’re definitely not the only writer who finds it easy to start but much tougher to finish… Hope your November goes fantastically! My book will be out next month in both digital formats and print. I cannot wait. Tying up all of the loose ends these past couple of months prior to launch has been pretty miserable. The only point I would add to this post is to have someone else read your work and give feedback. Someone with fresh eyes who will be brutally honest. After reading and re-reading your own work, it’s tough to actually see what’s on the page. My book wouldn’t be as strong as it is if I hadn’t done this. In fact, I had several people read and give feedback and a lot of it was very valuable to the end product. Btw, I’ve followed your work for over a year now (at your blog, DLM, etc.) and think you’re wonderful. Keep up the great work. I absolutely agree with you about getting feedback: it’s something I do with all my ebooks (I usually get several people involved for a range of opinions) and it’s definitely made them stronger. I decided it was going to be a tough thing to fit into a 30-day challenge, but if folks allow themselves an extra week or two, it’s a must-have! Great idea. I actually have a piece I wrote two weeks ago that’s being published this Thursday on the same topic at awaionline.com’s “The Writer’s Life”. Great minds think alike! I think this process works well for fiction writing too. Writing 1,500 words per days for 2 months (60days) produces 90,000 words: a proud length. I’ve tried it and discovered once you’ve written the first 1,000 each day, writing the extra 500 words on top is simple. Knowing where you’re going with your writing helps. A plan, if not a plot, just a good story (as Stephen King might say) helps you get those 1,500 written every day. Once you start, it actually gets easier as you go along. Writer’s block doesn’t seem to apply (at least not so far!). Momentum seems to keeps the Block down. Two tips: #1: Don’t edit. Keep your inner editor locked inside a cupboard until you’ve written those 90,000 words. Ignore the banging on the cupdoor and pleas to be let loose. #2: If you can’t actively write, e.g. you can’t get access to your respective “writing machines” of choice easily to write your 1,500, invest in a digital recorder. One of those that are little bigger than a UP-what’s it! And get one of those clip-on mics that look like speakers for mobile phones so people just think you’re talking to someone when you speak your 1,500 a day. You can write all 60 days of them later – unless to have software that writes while you speak. eBooks, like blogging, have opened up huge worlds for individuals to enjoy sharing their ideas and making money. That is a good thing. A democracy in action. As ever the point made by Ali Luke to write what readers want to read is a good one. I wonder however, if the motto: “Write the kind of novels you would like to read, and others will want to read them too.” is true of non-fiction? I agree, it absolutely works for fiction books. “Write the kind of novels you would like to read, and others will want to read them too” is a GREAT way to approach fiction. With non-fiction, however, I’m less convinced! Something that works for many of the people I coach is to “write for yourself a few years ago” — try to get back into the mindset of someone fairly new to your area or topic. Thanks for the kick in the pants Ali! and thanks for the formula! I think you’ve just convinced me to sign up for that NaNoWriMo! It doesn’t have to be just an ebook. You can use CreateSpace to publish it on Kindle and as a “real” book for back of the room sales and to sell on Amazon.com. LuLu.com and Blurb.com are the two other major contenders here. Each has their merits, so define your needs first, then look at them all & compare. As David alludes, we’re talking street cred here. That may very well make you a lot more $$ than out & out book sales. Depending on your topic area, a paper book could well be a fantastic addition. I’ve used Lulu, and it’s relatively simple to get to grips with. Great job on making the writing process more accessible by putting it on a timeline. It can be tricky to catch our own mistakes. Since we know what we meant to say when we were writing, that’s usually what we’ll see on the page / screen when we’re editing / proofreading for ourselves. I’ve helped people with editing and proofreading for online business for almost 20 years. People often ask me how they can improve their own skills. Amen to that Lauren – back in the early 90s I met an editor from Simon and Schuster. This was the early days of word processors being used – and she said she could read a manuscript and tell immediately if it had been edited on a computer screen or it had been printed out. It’s the biggest editing tip I have to share with content creators. Plus you can make your print out look different – use a different font, a different font size and print that out so it looks different to what you’re used to on the screen. Great tip, Lauren and Paul, and one that I’ve heard from writers/editors before (and, indeed, one I often use myself when editing) — thanks for adding it! And even if you don’t want to print out your manuscript, changing the font or font size (as Paul points out) can really make a difference. So can double-spacing the lines — it creates more white space around the words, making it easy to focus on each individual one. I’m actually going to be writing my fiction novel during NaNoWriMo next month. But I have been outlining an eGuide I’d like to write soon, so maybe I will make that my December project… or save it for the first of the year. Thanks for the detailed guidance for making an eBook happen in a month! Now you got me pondering . . . Very nice outline and making something as challenging as writing a book, to very simple. Boy, do I ever need a motivational schedule to abide by like this one. I have to imagine that your tips here work for general writing projects – not just eBooks. This post came at just the right time. I have decided on a topic for my free ebook so this will really help me get on and get the job done. Many thanks. Ali thanks so much for challenging me to put into action something I’ve been thinking about for a long time. Love your process and the way you chunk it down. I can do this! Thanks–I’m excited at the prospect, now! I’ve heard so many ridiculous methods for throwing together garbage and calling it an ebook, that this is such a breath of fresh air. Like you, I’ve got no time for the “shove it all together in an afternoon and call it an ebook” way of doing things. Quality is crucial — and achievable in a realistic time-frame. This post is epic. I love that it breaks down all the tasks from idea to outline to writing to editing. I was expecting a formula for 30 days of writing, but this is even better. One of the biggest problems I see is that people try to launch straight into writing — without a clear outline, or even an idea that they’re confident they can sell. I wanted to give the 30 days a structure that emphasised the importance of the planning and editing phases (as well as the writing itself) — so it’s great to hear this worked! I found that my local university had a creative writing class that I could take for about $400 that helped me immensely with writing. Improved my blog writing as well as helping me to write this ebook. I learned that its not so much to just write 10,000 words but to write that keeps the engagement of the reader as well as teaches or tells that story. Great tip — I’ve definitely found creative writing classes helpful, both for practical knowledge and for motivation! Wow, that sounds really easy, but am sure the days 5 – 25 will be a killer and will easily take a toll on anyone. Hopefully I will get the courage to start thinking about it one of these days. You don’t necessarily have to write a full 20,000 word ebook — I know that 1,000 words per day is a stretch for many writers. How about a shorter ebook (10,000 words, say) — 500 per day is an average blog post! Great post, Ali. I like the way you break down the process of writing an e-book. I’m going to give this a try, but probably not until January. November is our art sale season so I’ll be busy making felted clothing for sale. But after reading your post I’m torn by my priorities — to create through writing or to create through felting. Hmmm. Thanks for complicating my life. It will be fun sorting it all out. Thanks Chris! And hey, a little complication isn’t necessary a bad thing … 😉 Good luck with the felting and the ebook, whatever order you tackle them in! Wow, this is just the right kind of stuff on e-book writing that I’ve been waiting for. I have learned that one way to promote your site is to write an e-book. Your post gives me the push and tips to come up with my first e-book ever. More power to you Ali! Thanks Jonan! Hope your first ebook goes brilliantly — you’re quite right that it’s a great way to promote a website. Yep, I’m going to do it. I’ve been working on it for a while, but haven’t been focused as much as I should be. Knowing that a bunch of people will also be doing it in November might keep me going. I’ve done NaNoWriMo before and it’s fun. I notice a whole bunch of people coming up with all the things that *could* be wrong with an ebook written in one month. What if they just did it, and didn’t make those mistakes? if you’re truly concerned about your ability to deliver a quality product in just one month, for instance, write less, but make it better. Or write for a month, and take a month to polish, though I think that’s overkill. Exactly … I’m certainly NOT suggesting that people throw any old rubbish out there. Absolutely not. But really, when you knuckle down and *write*, it’s surprising just how much you can achieve. I’m also busy writing an ebook and its taking me quite some time now ! But yes as you mentioned I think I need an internet blocker. That’s all thats going to stop me from wasting my time on browsing. Thanks ! Interesting article. Where would be the best place to look if I wanted to outsource the preparation of an ebook using content I have created over a series of articles? How much would it likely cost. Haven’t decided if I will look into it yet just interested on the details. Good question, Dane! I’d suggest looking for someone who specialises in ebook creation. Kelly Kingman comes to mind — her site is http://stickyebooks.com (I don’t know what her rates are). Simple and concise tips Ali. Getting clear on your subject and making sure it’s useful to others form the foundation for a special offering. One of my top NaNo tips is: set aside a weekend or two for catching up in case you fall behind (especially if you’re in the US and have Thanksgiving available to you). If you say “I’m going to get up on time and do nothing but write and drink coffee today”, it’s amazing how much you can get done even in a morning. I occasionally fail at the “get up on time” hurdle… 😉 But in seriousness, YES! This is great advice. Having even one whole day to work single-mindedly on a writing project makes a massive difference. Thanks Ali, Your tips were inspiring and also straight to the point. I’ve linked to your article on my blog, added some tips of my own, and thrown down the gauntlet to others to join me during nanowrimo to write an eBook. What a powerful post yours was! I wonder how many new eBooks will be the result of your helpful guidance? Hurrah, and good luck in November! This is one of those article that I’ve saved and put into evernote to allow me to read and refer back often. Definitely a great piece of article as this is my single biggest problem, procrastination on putting out content because of the overwhelming task of writing a full blown ebook. But if I break it down like what you advice, it is suddenly manageable and writing a few pages each day seems like a minute task all of a sudden. Thanks Ted! Procrastination is a huge issue for so many writers — especially bloggers, because there’s always the sense that blog posts are more urgent (and, let’s face it, easier!) than writing an ebook. I’m writing an ebook about the gastric bypass experience. The writing part won’t be a problem, I’m concerned about how the website looks to sell it. Anyone have any examples of successful ebook site designs? Most people write what’s called a “sales page” to sell their ebook — either a separate page on their existing website, or a one-page website. This is an excellent post. I wrote an eBook once in fewer than 30 days, and I followed the same course (though not on purpose, but what you outline is a really natural and realistic approach). Do you have any advice (or have you written any other posts) on how to price eBooks? This is really great formula to write an e-book in 30 days. The best thing is that we can be organized without losing our attention. I have used some of the parts especially mind maps, but never put such a goal to write 1000 words daily with such a discipline. It’s worth trying the formula. Thanks, Dragan! It’s tough to stick with a daily writing habit (and many people find that something slightly different works — e.g. writing on weekdays only or weekends only) — but getting into a good routine is really helpful when you’re working on a long-term project like an ebook. This is really great information. I envy people who can create such logical plans and plot them out. I have been stuck on moving forward with my e-book. It starts and stops and I am not really sure what is currently stopping me. Thanks for this post. Nicole, do you know where you’re going next with the ebook? I often get stuck if I try to write without a clear plan! Even a list of several key points that you want to cover in the next chapter could help. Best of luck getting back into it! Do you believe in your ebook’s purpose still? How does your ebook fit into your “actualizing purpose”, for example, what goal do you intend your ebook to achieve for you – increased subscribers? creating your authority in your niche? These are the questions which you need to ask yourself to get back into action for your ebook and get writing again. Answering these questions will help you set out the plan Ali talks about. Remember, your ebook should be a tool; an employee even, with a specific role. If you have no specific role for it, then you’ll find your ebook (and you) flounders around, and any opportunity you wanted your ebook to bring, will dissolve. Check out Ali’s “create an outline” tips and read “what your audience is looking” again, as these will help you decide your ebook’s “actualizing purpose” and fire-up your inspiration again. The point of my response is that plans do not pan out for some. It comes down to routines not plans. This e-book has to be part of my daily routine. It is not really the content that has me stuck, but working it into my day. I can take the plans and outlines passed my way and pick parts here and there to use and implement, but for someone like me to work through a 90 day plan or an outline or what-not is almost impossible. There is nothing wrong with this. Our minds are wired differently and it is always good to hook up with others who are more logically wired. The e-book is about the possibility of this. How we can stay true to our daydreamer tendencies and move forward with our lives and our businesses. How do the unfocused find their focus and get things done. Tom, it does fit into my ‘actualizing purpose’ and I went back and read all the things you recommended above and I do know what I want to achieve with the e-book. Routines are vitally important to creatives and ‘daydreamers.’ I think there was a section on this is Uncertainty, the new Jonathon Fields book. If you say the word plan or rules to a daydreamer they will run the other way. But I know that ‘daydreamers’ are probably not Ali’s market. I just happened to be reading the post. But thank-you both for your responses because it got me thinking about how to make this e-book part of my daily routine. Ah, I get where you’re coming from, Nicole. Maybe you could try setting aside a whole day just for writing — I know Catherine Caine (awesome gal) does that, and her work is amazingly full of energy. This is good advice. I think I will pick a day and actually leave the house. Go to the library or something. i’m joining this year’s nanowrimo. it’s going to be my first. and i’m excited about it. i thought nanowrimo is about writing fiction! you can do non-fic too: http://productcreationblog.com/385/nano4info-challenge-joining-information/ i have an ebook in mind. and a story idea i want to turn into a novel. so i have to make up my mind if i’m to write an ebook or a novel. why is it so difficult to be writing a novel 🙁 when it’s so easy talking like a dirigible pirate! I am excited about this challenge. Iam just starting my business and don’t really have an following yet. But, I am still going to create the E-Book for my future client. i love your e-mails..I save them for the weekend or when I have time..that is why I am just writing this post. Love this, Ali! Most of success is just about showing up every day, whether it’s to write a book or market your business, or set an appointment. Small daily habits make huge changes over the long term. Thanks for such practical guidance and good common sense! Thanks, Darlene! And I completely agree — showing up is half the battle won. Ali, your stuff always makes me smile. You say “and then do this, and this, and this, and look—you’re done!” in a way that inspires confidence. Which, as I’m about to share, is far more important to this process than most folks realise. I recently had a big party to celebrate publishing 6 books in 6 months. Now, I didn’t completely write all 6 during that time, but at least 2 of them were conceived, written, and published within the 6 months. Since I’m also a web developer, I created a website for each book, and even created Kindle versions of all 6 of them. I publish independently, so each book had to be proofread and formatted, have a cover designed, and all the other bits of creating a book from scratch. I don’t have some big team helping me; just my wife, who is, you might get, spectacularly organised and a brilliant admin type. But the single biggest reason I got this done was because I chose to ship instead of worrying about the myriad reasons this was an insane idea. If you have the chutzpah and smarts to operate your own business, you have what it takes to deliver a solid, worthwhile ebook in 30 days. You just have to stop being afraid. Alright, Ali, I know I’m a little late, but I’m going to do it. I’m making the public commitment. Next month, I will write a 20000 word eBook. By 2012, I will have writteny first eBook–on a topic both dear to my heart and poignantly relevant to my community as well as the world at large! Hi Ali & everyone else who’s posted some great comments & tips. I’m late to the party!! Wanting to write an ebook I came across your site & this fantastic blog which helped galvanise a lot of my thinking & gave me some brilliant tips, advice & a starting point. I’ve now got a questionnaire together to research my market so thanks for that great tip. My ebook is about working from home. My difficulty is a chicken & egg situation. What comes first? The blog or the ebook? Also reading so much info that there is online often leads to overwhelm rather than clarity for someone who isn’t concerned about the writing process regarding the content & the discipline. What’s holding me back is what comes after it’s written so I’m more concerned about the marketing & selling of it especially as I’m a bit of technology dinosaur! Any comments would be appreciated. Chris, I’d suggest taking things one step at a time. Focus on writing the ebook first, then worry about marketing and selling after that. It is a bit chicken-and-egg… perhaps you could start the blog by posting excerpts from the ebook-in-progress or links to related resources (maybe a couple of short posts each week), that way you can repurpose some of what you’re already writing! In few months of blogging, I found out one of the best strategies to make your blogging business more successful as possible is ebook marketing, in which I was searching now on certain tips on how to make a highly created e-book. Holla!… I found this very helpful and interesting post, Thank for this bro…. I have a great idea now on how to make my own ebook! Great tips, Ali – thanks for posting such helpful information! I found this post while searching for information on how to create an eBook. I was feeling a little overwhelmed until I came across your post. I am starting immediately! Do you think using specialized eBook software or programs is necessary? Lisa, while you can just create a PDF, it doesn’t have any real “features” the way a Kindle or ePub book would. Kindle and Nook users are used to having access to a table of contents and other built-in tools which are part of those formats. You can start from MS Word, save it as HTML, then upload to your Kindle or Nook account and they’re converted automatically, and as much as it pains this15-year web geek to say it, fairly accurately. It depends a bit on what you’re planning to do. Some ebooks are just .pdfs — that works well if your audience will mostly be reading them on a computer (or printing them out). So it’s not 100% “necessary” to use specialized software — I just use Word to create my .pdf ebooks. If you do want to create Kindle (.mobi) or Nook (.epub) versions then Calibre is a nice piece of software for that, and it’s free to download. (It has Windows, OS X and Linux versions too.) Like Joel, I start in Word and convert to HTML, though I then fiddle around with the code to remove lots of the junk that Word puts in there! Joel & Ali – thanks so much. I appreciate you sharing the perspectives for each. Do you cut and paste from Word to Notepad before converting to HTML? I’m not Ali, but I’ll share what I’ve learned. Despite my 15 years of experience hand-coding websites, I was surprised to discover that Word’s “Save as HTML (Filtered)” spews out something the Kindle uploader finds acceptable. I’ve used barely polished Word HTML for ePub (Nook) and Kindle books, and they work just fine. And since there’s no “view source” function, nobody sees the horrific code. My first couple ebooks, I hand-coded, because that’s what I do. But in a hurry one day, I experimented with doing it the easy way. I was simultaneously dismayed and glad that it works. There’s always a bit of tidying, things like page breaks, table of contents, formatting. But it’s minimal. Like Joel, I save as HTML (filtered) from Word (though I do clean up the document a fair bit first). In the past, I’ve gone through documents and cleaned up the code, just to make sure there are never any nasty surprises for people reading it on different devices … but I might get less obsessive about it in the future! Many thanks. You’ve both saved me time – and money! There’s several “offers” going round the publish-to-kindle world starting from $30 + for software/packages meant to help convert documents into eReader-friendly formats. From what you both seem to saying this conversion can be done quite easily and, the premise that (without these offers) the end result could be poor formatting that turns readers off, is not a likely one after all. Am I right? With care and attention, you’re correct, Tom. I’d say there are two reasonable options: do it yourself using the free tools available, or completely hand it off to someone else who does it for you. In case a disclaimer is necessary, I’m one of those people, but the truth is, you’d hire someone to get out of the process entirely, not because you can’t create a good end product on your own. As Ali has emphasized, the code can use a little cleanup, and you should always preview on a real Kindle or Nook, not just on the preview tools those formats provide. And keep asking questions because if you can do this stuff yourself, you take even more control of the process. There are plenty of people offering services to convert documents for you; like Joel says, the best use of that is probably to just get someone else to sort it all out for you, rather than to pay for a half-way service. Thanks Adam, and best of luck with your ebook, hope it goes well! Thank you Ali, that’s a very good guide. I’m thinking about writing a free ebook for my blog and so I found your tips very useful. Thanks Ali but what if I have so many ideas I can’t narrow them down or maybe I don’t have ideas or I don’t have a blog, website and not on Twitter or Facebook, etc., what would you suggest I do to come up with a subject/topic that’s in demand? Jennifer, I’m not Ali, nor will I ever be, but here are some thoughts. If you don’t have an online presence of any kind, an ebook probably isn’t the right tool for you. But it seems likely there are people in your life, yes? First sort out why you want to write something, then sort out where your audience might be, then go ask them, in person, what would help them. With no online presence, you’re better off writing a non-fiction how-to for small businesses. Hang out at the Chamber of Commerce or a local small biz networking mixer. Get to know people. Ask what they need. They’ll be glad to tell you. Joel, I did not mean to offend. Clearly I hit the wrong “reply” button when posting my question. No, I do not have an online presence but it doesn’t mean I can’t get one or several when the time is right. My interest with this blog focuses on topic research and developing content. I have noted your comments and will consider them as I move forward. Thank you. Jennifer, I’m sorry my sense of humor didn’t translate to my comment. If you’ll re-read my comment, imagining a big ol’ smile on my face while we share our tea or coffee or whatever, you’ll get closer to the point I meant to make. If you’re going to work toward an online presence, as a web developer with 15+ years’ experience I’d recommend starting with a free blog at WordPress.com which will translate well to a professional website when the time comes. That way, at least you have a website folks can visit, a place they can leave comments, and a way to interact with your intended audience. Joel, I have to say you humanized yourself to me with your words of kindness and I sincerely appreciate it. I can tell you are a nice person by your response. I agree, sometimes emails, text, etc. don’t translate as well as we’d like. I made a note of your suggestions and as I move forward in my efforts to learn how to write an ebook I will remember your recommendations. Hi Jennifer! And Joel, thanks for jumping in with some great advice — I’ve been offline much of the weekend. If those readers can’t find your website, blog, Twitter and Facebook pages, if they Google your name and come up with 11 other people who aren’t you, but not you, you lose credibility to some extent. And in this day and age, if someone wants to produce an ebook, what’s a valid reason NOT to start a free WordPress blog and write twice a week about your subject? You could have a blog started five minutes from now, and by the time your ebook is ready in 30 days, you could have a dozen posts on it for your ebook readers to comment on and connect with. When I launched my first Blogger’s Guide ebook, I didn’t actually have a current blog of my own (though I did have a static website, where the ebook was sold — and I’d had active blogs in the past, and was a paid blogger on several sites). I promoted it through guest posting on other people’s blogs — though I did already have some connections due to my existing online presence. It’s honestly completely up to you what path you follow, and what you do first — my only concern is that you might put lots of effort into writing an ebook, only to struggle to market it effectively. For me, blogging, email lists, and Twitter have been hugely useful marketing tools. It’s the same as with a print book, really; if you can’t get that book in front of people (e.g. through conferences, through personal contacts, through speaking engagements) then it’s hard to make sales — even if the book itself is excellent, people won’t know it exists! I plan to implement these tips over the next month, and we;ll see how it works out. Great article! I just finished two eBooks recently. My suggestion is that you start to write short eBooks about 30 pages. It is a lot easier to accomplish. Once you have done it, you will be motivated to write more. Having an outline will definitely make your writing task easy to manage. Great tip on keeping it short, Mary — I think that’s definitely a good plan for anyone who’s new (or fairly new) to e-book writing. I’ve met some people who’ve written full-length and or short films in 30 days or less. All it takes is discipline, commitment, structure, and organization. And…The ability to say “no” to family and friends when they ask you to go out or even attend some sort of function. You may have to disappoint people. If you can do this without feeling guilty, you’ll have a polished eBook, screenplay, book, etc. in no time. The saying “no” part can be tough. Sometimes, a simple “I’m sorry, I’m busy that night” is easier than explaining the ins and outs of your e-book (screenplay, novel, etc) writing plan. It’s really crucial to carve out time for your business / your writing — and the good thing about a 30-day period is that you can always promise to make up for it next month! Great posting – and very timely. I came across NaNoWriMo a couple of years ago. The result of that November is now up on Amazon Kindle site as ‘Another Glorious Day’. The 2011 November’s month of writing has taken a few months of editing and will be up as an ebook soon hopefully to join the other four up there. I am already getting ideas together for this November – which is coming round all too quickly! My experience is that, with determination, a 50,000 novel can be roughly knocked out in the month but then begins the longer task of editing and refining – but a great spur to getting something concrete out at least once a year. Thanks Geoff — and congratulations on the fruits of your last two NaNos! I agree that the editing / refining is a huge part of NaNo — if you’re writing 50,000 words in a month, they’re almost certainly going to need some heavy work. With a non-fiction ebook, you can go for a much shorter word count and fit in a bit of editing during the month. Timely with NaNoWriMo around the corner. Where does one find great e-books that can be studied as models? Amazon, presumably? But it’s such a new medium, it seems like there isn’t yet a “canon” of commonly accepted great e-books like there is with print books in almost any genre. Or is there? Obviously I know it depends somewhat on the genre you’re trying to write in, but I’d love to get some examples of e-books that are a clinic on how to do it right–structure, style, level of specificity etc. Also, for those of us who struggle with distraction (looking at Ali’s point about shutting off your internet), I really like the app “Write or Die” which plays horrible loud noises if more than a few seconds elapse without you typing. James, this really depends what sort of e-book you’re writing — whether it’s fiction, non-fiction, free, in-depth, etc. You can certainly look on Amazon, or you could turn to blogs that offer free ebooks as .pdf downloads (many will use these as an incentive to encourage you onto their email lists) — you’ll find that the quality varies, but you should get a good idea of what works well and what doesn’t. I agree that Write or Die is a great app! Thanks so much for always taking the time to email to me your wonderful information. This is a wonderful opportunity for us to put our ideas into concrete form. I have several books that I am currently working on. I will choose one to complete in the 30 days. It takes discipline and determination. Thank you Ali for the insights, tips and information you share. ***Addition** Don’t just edit and proofread yourself, you’ll be too involved and you’ll make mistakes. If you can afford it, have a proofreader review it. You’ll be amazed at what errors are found. Great addition! And if you can’t afford a professional editor / proof-reader, it’s a great idea to find a writing buddy who you can swap manuscripts with — it’s amazing how tough it can be to spot your own typos and how easy it can be to spot other people’s. Ali, As a veteran book coach, I applaud this blog how to and agree with your points. RE:Write a list. If you’re already extremely familiar with your topic, you’ve probably got an outline in your head. 2. Remember to add the selling points before you finish your book– the cover, the title page, the About the Aurhor, the TOC and the Resources page. If it’s a free eBook to brand you and attract customers, then add short promotional copy and a link that leads back to your site where you sell more expensive products and services. 3. Market While you Write. Make your 3-5 chapters titles (for short eBook) include a key word similar to your book title to make it searchable and distribute more copies..
4. Keep a marketing mindset as your book. What are questions your audience wants answered? Waht are 5 benefits of your book to them? Ali, it’s great to see this specific help for authors because they need it to succeed! Judy, thanks so much for your kind words, and also your excellent tips. It’s definitely a good plan to focus on the selling and marketing right through the writing process … makes things so much easier when you get to publication! Hi Ali – this is a scrumptious post that I will definitely be sharing, tweeting and Evernoting for future reference – I’m planning to write an eBook in the near future, so your tips will be extremely helpful. I like the idea of starting at the end, with a clear idea of what you want the book to achieve – I can see the logic in that. Apart from helping structure the book, I suspect it might also boost your motivation, by having the finishing line in sight right from the start of the race. Regarding the choice of subject, isn’t it also worth having a look at what people are actually buying – for example, by checking out Amazon’s best sellers? Otherwise, there’s a danger you could spend a lot of effort writing a book on a subject that people are interested in – but maybe not quite so keen that they’d be prepared to pay money for it. Just a thought. Thanks so much, Sue, both for your lovely comment and for sharing the post! That’s a great point about subject — yes, definitely check out best sellers (whether that’s on Amazon or on blogs / websites in your niche — depends a bit what sort of audience you’re aiming for). Some topics are popular ones but they’re not necessarily ones people will pay for. Count me in! Provisional title: The Maximized You. What a FANTASTIC idea! I have been actually struggling with getting an eBook written this year on content and blog marketing so this may just be the motivation I need to finally get it done. Thanks for putting some fire under my behind and those of my fellow eBook writers! Best of luck, Rose! And with the smart-phone-earning too..! I absolutely agree with this. Anyone can create a fully-functional and high quality e-book in a month. Everything you need is time and will. I especially like the part with a timer – absolutely one of the best tools for writers. Getting together with a group is a brilliant idea (and I’ll be keeping an eye on the hashtag) — best of luck to you and everyone else involved, Angela! I’m going to follow ur November ebook guide to create my first book. I still have a few days to select my topic. One that deliverls or sways people’s desires to action! Good luck, Cathy! If you’re not yet decided on what to write about, I definitely recommend surveying your blog readers / Twitter followers / etc to see which topics they’d prefer. Or something. All I know is I love making them, and showing people how to make them, and I figure that will somehow shine through in anything I write about them. Only thing I can’t decide is whether to give it away for free – as email list incentive – or charge for it! Thanks again for the motivation! Hi Ali, what a wonderful, high value post you have shared with us here! The parts of your post that I like the most are the ones related to being productive and also being accountable to both yourself and your target audience in terms of really committing yourself to achieving your goals. Personally, I can very passionately speak in favor of being productive as well as maintaining your focus on achieving your most important goals because one of the main reasons why I have wasted my last 7 and more years not being able to make money online and also not being able to live my life to the fullest is simply because I was paying my attention to the wrong things. Having said that, I am glad to tell you that I have recently started my first blog ever in order to connect with my audience and write on topics that they are truly interested in based on some of the tips you have generously shared with us here. Subsequently, having making my first sale of an ebook that would cost anywhere between $7 and $97 as my goal that I have also shared on the first post of my blog, I definitely look to invest part of the earned money in buying a countdown timer that will keep me even more focused as both an ebooks producer and an ambitious online entrepreneur. Finally, any of your comments on my first ever post displayed on my first ever personal blog that I have recently created after a very painful, shocking and agonizing 7 year struggle of trying to make money online in order to reach and fully enjoy my ever desired dream lifestyle would be more than welcome and well appreciated. Thanks Bruno … and very best of luck with your blog and with your goal. For what it’s worth, I’d suggest shooting for the lower-priced end of the ebook market to begin with (think “sales funnel”) — so the $7 – $37 range. Hope it goes well! My one practical (not motivational) concern is that some sections will necessitate research that will bog me down during the writing phase. It *seems* like research should happen during the 2-day outline phase..but that’s a pretty compressed schedule already. I think, though, that I’ll restrict it to the outline stage (since research is a temptation to not-write, at least for me, and I really do have a good grip on my subject already). For what comes up during writing, I think I’m going to tackle this with your advice to “mark the place somehow” with the exact question that I would have gone to look up & keep plowing ahead. Thanks for the advice and motivation! I think the “mark the place” technique should work well for you — get the first draft down, and do any bits of fact-checking etc once the writing is pretty much done. Best of luck! I write about blogging from last one and half year. Now I wanna publish my free ebook on wordpress customization and globalization. Now I am very motivated after reading this article. I’m happy to know, I can complete this dream in at-least 30-40 days. The most important part is “Start writing (Days 5–25)”. It need so much concentration and freshness also. Hope your strategy will also work for me. Thanks Priyank, glad this was motivating — and best of luck with your free ebook! Great idea – I’m in. I was invited by a friend to participate in NaNoWriMo this year, and accepted. However, since then, I have been really feeling that what I need to write is an eBook for my website, rather than fiction. I had just recently decided that was what I was going to do anyway – complete the task in the spirit if not the letter of the NaNoWriMo law. I like the public commitment and knowing that others are doing it too. Thanks – good luck everyone! Great piece of advice. Nice Article. I was in a process for my first e-book and i found this article on the right time. You know what they say ‘if you are willing to do something and you are struggling for something, it starts coming near to you depending on the quality of your efforts. I have been toying with the idea for a couple of years now of just sitting myself down and getting started on a few topics I have in mind for E-Books. I had never thought about the 30 minute timer before, that is an excellent idea! Not to mention I have an extremely bad habit of editing what I write as I go rather than using the draft type style. You’re mention of the mindmapping technique did bring back memories from years ago. I believe I may just sit down and get started…Thanks! I’ve been thinking I should get a paid product on my site for a while now, but have been pushing it to the back of my mind for “when I’ve got more time.” (Ha!) This sounds like exactly the kick in the pants I need to make this happen, now, because I will never “have more time,” but I COULD use some more passive income asap! Have a great November, Cordelia — The Hustler’s Handbook sounds awesome. 🙂 And I’ve learnt (in both writing and life in general) that you often have to MAKE time rather than find it … sounds like you’re doing just that. I wrote a short autobiography few years pass, protecting it and having it registered in the Library of Congress. I had been looking for a publisher, when an administrator of “togetherweserved” suggested that I should put it in ebook. I will have to re-write it to remove certain entries that will not take away any idea or points of information. combat veteran of Vietnam, (Southeast Asia 1966,7,8,9,’70 and ’71) It has very little to do with such, beginning before and continuing afterwards, even to the very moment I type these words. Gene, best of luck with publishing your autobiography in ebook format — I’m sure you’ll find it rewarding. I did write a short “how to” book (40-50 pages) many years ago and sold hard copies after advertising online. I am presently redoing the book as an Ebook for online sales and have been trying to figure the whole process out. Your information has been a big help. I am still going through your site and trying to implement the good suggestions. Thanks so much! Thanks Fran, so glad this was helpful! Hi Ali — I write a blog for an online company which sells home decorations which are mostly handmade, mostly in South East Asia. I have free rein for many of the posts and have enjoyed coming up with topics of interest to me. I am also an interior designer who works on multiple projects in my “day job.” I would love to run with some of the ideas from my blog and turn them into an e-book but the premise means that the content is would need to be very photo-heavy. I would definitely need time to create and photograph the content. A couple of questions: is this challenge still going to work? Is your “Dummy” book relevant to photo books / interior design books? What is your recommendation? Thanks for this inspiring-and-motivating idea. Catherine, that sounds like a wonderfully exciting project! Not being a photographer myself, I’m not sure how easy it’d be to keep to the timescale above if you need to create as well as photograph the content. I suspect you’d need to allow more time — perhaps 60 days rather than 30. Well this is timely because I’ve started writing my new eBook, “10-MInute B2B Marketing”. Looking forward to FINISHING it! Thanks so much Ali for doing this! I gave myself this goal for the month of October and it was an epic fail. I am definitely going to get it down this month!! May the games begin! OK! I make a public commitment to complete an eBook on Custom Club Fitting Facts based on my blog posts – by December 3!! I am in the process of writing an ebook over energy niche. Thanks for step by step process in writing an ebook. Timely and very informative. Could you let me know how to market our self made ebooks? The public commitment thing doesn’t work, it was scientifically proved that our brain feels like we are closer to the final goals if we brag about it to our fiends. I started writing an e-book with maths exercises but I am kinda lazy and I get distracted very easily. I think I will try the 30 days deadline, maybe I will be more motivated. Good luck, Thalinda! I think there’s a right way and a wrong way to do public commitment. For me, the right way is saying “I’m going to write my ebook draft this month” and perhaps “I’m going to write 1,000 words today” or similar on a regular basis. The wrong way is constantly talking about your project plans without actually committing to the action you’re going to take — that, for me, is where it becomes all too easy to talk without doing. I’m just too happy to come across this wonderful article on how to write your first ebook in 30 days, it sound great, is just speak to me directly because I’m preparing to write my first ebook, I have made lot of researched on the topic I’m going to cover, and I’m filled with much information now but how to arrange it and make an outline is just the problem, looking for where to start and how to start it. But I’m glad today because I have found an article that answer my question on how to start. I hope I can still meet up with it at the end of November, I want my ebook to get published and I know that coming to here to read this article is not by my doing, it is just God that sent me here. Reading this post i think that never ever give up .Write a good Quality post which will give you a best feedback like this post . Thanks for these tips! I have been mulling over the idea of an ebook but not sure where to start and don’t want to waste my time. I think planning it out like this will make it much more possible. I’ve come up with some good ideas for e-books over the years and for the first time, I’m taking action on my ideas and beginning to write. I was always a good writing in school and college and have always had good ideas. Writing an actual book, however, just seemed like a really intimidating task. That being said, I’ve started writing and the ideas really flow onto paper at a fast rate if you are knowledgeable and passionate about your topic. I buy into the idea that you can write ebooks in 30 days and my experience has shown that to be entirely possible. Nice article, it was a good read. Great post Ali. I’m already a professional writer (newspaper, magazines, website copy, etc.) and my real challenge is knowing what platform/format to use. Which e-book creation platforms or methods do you recommend? What a great post! I am definetly going to be participating in NaNoWriMo this year, thanks to discovering it with this post. I have recently come up with an ebook idea, which has only been written about in two other ebooks. Do you think that this is probably an unpopular subject or an undiscovered niche by ebook writers? Are there any ways of going about finding this out? If I were you, Andy, I’d see what other resources exist online: are there blogs, YouTube videos, or similar? It so, it might simply be that it’s a fairly untapped niche in ebooks.